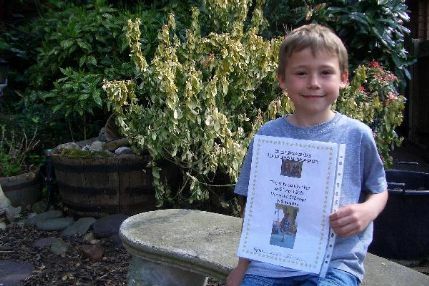 Thank you to 6 year old Harry Johnson, who completed a sponsored hop at his school in aid of Bobtails and raised a whopping £47.38 by completing 522 hops in 5 minutes. Wow...thank you Harry! 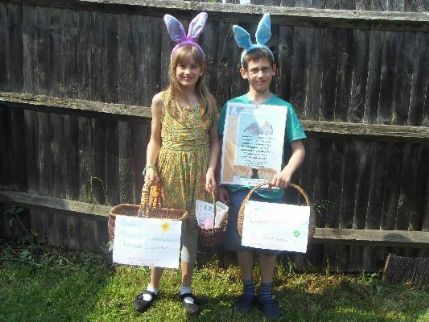 Heather and Calum recently organised a cake sale and raised a fantastic £35 for Bobtails. We bet those cakes were yummy. Thank you both so much. 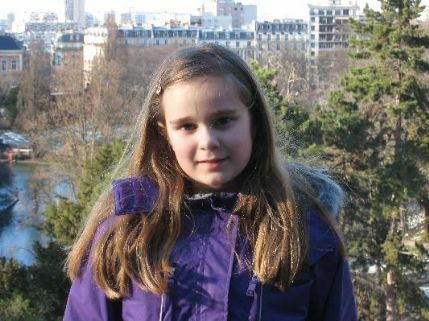 A big thank you to Milly O’Sullivan who very thoughtfully decided to give up some of her pocket money every week just so she could donate it to Bobtails. Its gestures like this that touch our hearts, knowing that people are thinking of us and wanting to help the animals. 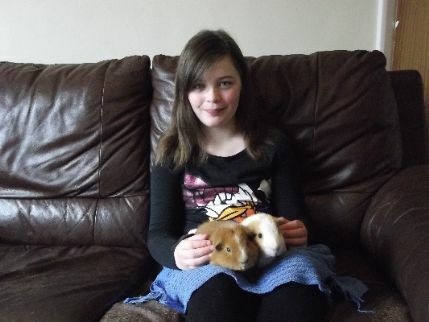 This is a picture of Milly with her 2 guinea pigs “Rex & Sherri”. 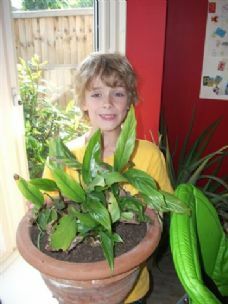 We would like to give a big thank you to Freddie Nicholls who raised £20 for Bobtails by planting seeds and selling plants. Freddie is a dedicated Bobtails supported as he has adopted two guinea pigs: Hedgehog Fungus & Willow from us previously. Thank you Freddie. Thank you to Kate & Leon for organising a Christmas play and raising £13.34 for Bobtails from ticket sales. 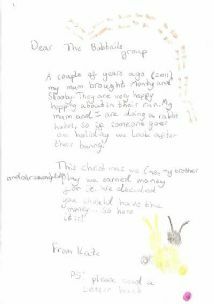 Thank you to Hannah, who raised £5.55 by making and selling a comic/magazine to her family members in aid of Bobtails.